Trumpeter Thomas Marriott‘s new album-length work, Urban Folklore, will debut this weekend at The Earshot Jazz Festival. Marriott will be joined by the same group that recorded the CD, pianist Orrin Evans, bassist Eric Revis and drummer Donald Edwards. 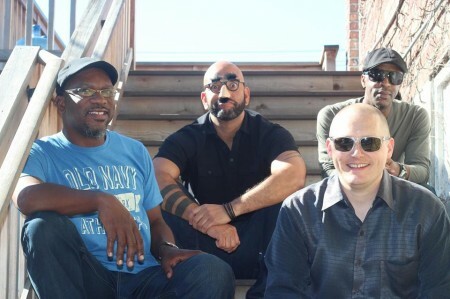 The group performs Friday – Saturday, October 17-18 at Tula’s Jazz Club. Urban Folkore is a musical collection of personal, yet commonly shared stories of frustrations, fears, hopes and joys with Marriott spinning his tales of modern day society and life in our present times with intensity, humor and nuance. The group performed this past Summer for a night at The Royal Room before heading into the studio to record. This will be the first performance of the music since the album was released earlier this month.